It’s the end of cloud storage as we know it today. Pure cloud adoption will become less common than a hybrid approach that tightly integrates public and private cloud architectures with modern on-premise storage systems. This trend will hold true for both home users and small-medium businesses (SMBs). According to recent cloud usage research conducted by Drobo, 96 percent of SMBs (up to 500 employees) report they will store at least 50 percent of their data on-site for a minimum of the next three years. Factors cited included cloud performance, security and reliability concerns. Both businesses and individuals did state that they wanted tighter and more automated integration between their on-site data and their cloud provider. As stated by Buiocchi, "The cloud is going to have one foot on the ground for some time to come." 'Small Data' eclipses Big Data in importance. Today there is big buzz around Big Data, but the fact of the matter is Big Data is relevant to only the largest of companies and data hoarders—similar to the perspective that only one percent of the population owns 99 percent of the nation’s wealth. It’s the one person, family or business having to navigate the protection and management of their own data that affects the largest group of people: 100 million individuals and small businesses nationwide alone. This is the more pervasive problem (when compared to Big Data), and it highlights a persistent oversight of the entrenched, legacy storage system vendors that focus on the one percent while under-serving the "little guy." The numbers are too big to ignore—while Big Data will continue as a top issue in 2012, it’s the 'Small Data' opportunity that will explode. Consumerization of IT continues as enterprise storage features hit the SMB and home user market. It happened with PCs years ago and now it’s happening with tablets. In 2012 it will happen with personal and small business storage. 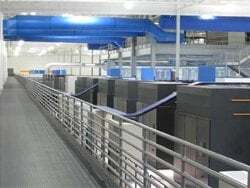 Automated data protection, advanced thin provisioning, and powerful data-tiering with solid-state drives (SSD) are among the innovative technologies that entered the enterprise market first, but in 2012 they will further permeate home and small business offices. Will most new home or small office users know how to describe these cool, geeky storage features? Probably not, but they will know that storage has never been so easy to use, reliable and fast. 2012 will be the year that the idea of storage for the rest of us takes on a larger role in our lives, better protecting our rapidly growing digital universe.